About what needs done outdoors before winter comes. Tips on how to accomplish your outdoor fall clean up. Rain gutters play an important role when the damp winter hits. You want to ensure that clogs are removed with a hose or hand shovel to allow proper drainage. When cleaning the gutters, be sure not to reach out too far while standing on a ladder. Get down and move the ladder instead so you don’t find yourself sprawled out on your lawn. Once you’re done cleaning the gutters, you’ll still have more outdoor cleaning to do and can’t afford an injury now. You may notice from your lovely ladder view that there are trees that should be trimmed. 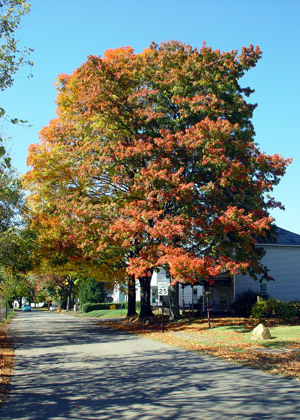 The best way to trim your trees is to use a chainsaw on the heavy branches and some pruning shears for the smaller ones. Among the fall cleaning tips, watering the grass is vital to maintaining a great lawn. You may think that since autumn is approaching, you don’t have to water your grass. This is a common misconception. For the first watering, soak your lawn until you see the water seep into the soil. Once you see this, soak it again. From there, be diligent. Although the weather gets colder the soil can get locked up with ice, making it impossible for your lawn to breathe. Watering is still very important in during the autumn months. You spent all summer maintaining your lawn, but don’t put those tools away yet. Give your lawn one last good mow, cutting it very short. You don’t want any obstructions keeping your lawn from getting the oxygen it needs. When you’re finished, prepare your lawn mower for spring. Be mindful not to leave any gas in the engine. Run it all out. Gas that sits for a long length of time can clog up the carburetor. Next, grease up parts like the pull cord and metal parts that can rust and cause future problems. 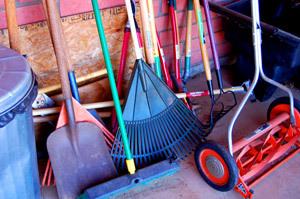 While you’re in the shed, grease up those garden tools to prevent them from rusting within the cold wet elements. Your wallet will thank you for taking these extra precautionary steps and you’ll have no problems getting back to work in the spring. Finally, if you want to have a beautiful yard when spring comes you have to plant spring bulbs. While other neighbors are going to be rushing to their yards to plant in the summer, you will be confident when your work in the fall yields beautiful plants in the spring. 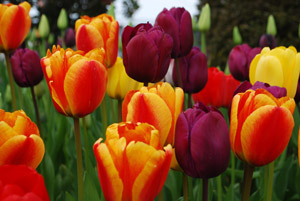 Some options for eye-catching, early-blooming flowers and plants are tulips, purple crocus, and whimsical snow drops. After you’re done, and your hard work has paid off, you can rest easy and sip your warm cider knowing that your home is ready for the rough winter and the welcoming spring. Now you can get ready for the best parts of fall and winter—the ongoing holiday events with family and friends.